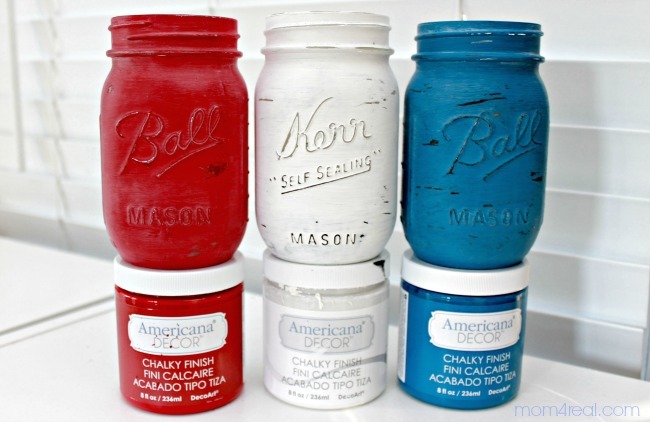 The 4th of July is right around the corner, so that means patriotic decorating is in full swing at our house, so I am kicking off my decorating with these cute patriotic red, white and blue painted mason jars! Last year I painted these mason jars to use as vases, and this year, I planted these cute succulents in them. Well, with the 4th coming up, I decided to paint some new mason jar planters with a patriotic flair…perfect for any holiday! I’ve teamed up with over 100 other bloggers to share the ultimate Red, White and Blue Ideas with you!!! Be sure to check them out at the end of the post! For my project, I took 3 plain mason jars and gave them a little patriotic makeover! 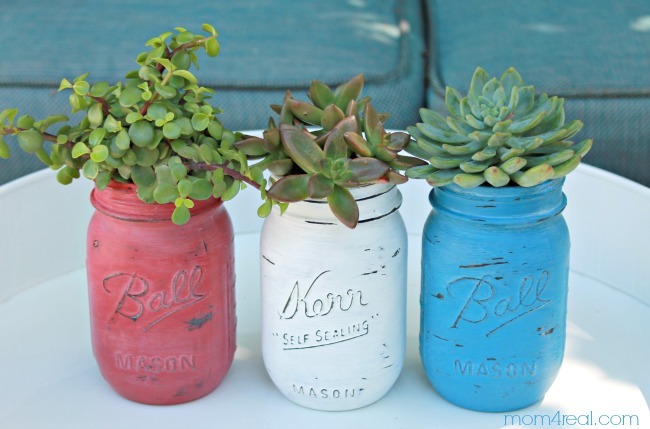 These are so simple to make…all you need is a little paint! I used DecoArt’s Americana Decor Chalky Finish Paint for mine. I just painted two thin coats straight onto the glass jars, allowing time for drying between each coat. Once they were dry, I distressed them a little using sand paper, then used a little furniture wax to protect them! Now they will last for years! That’s it! 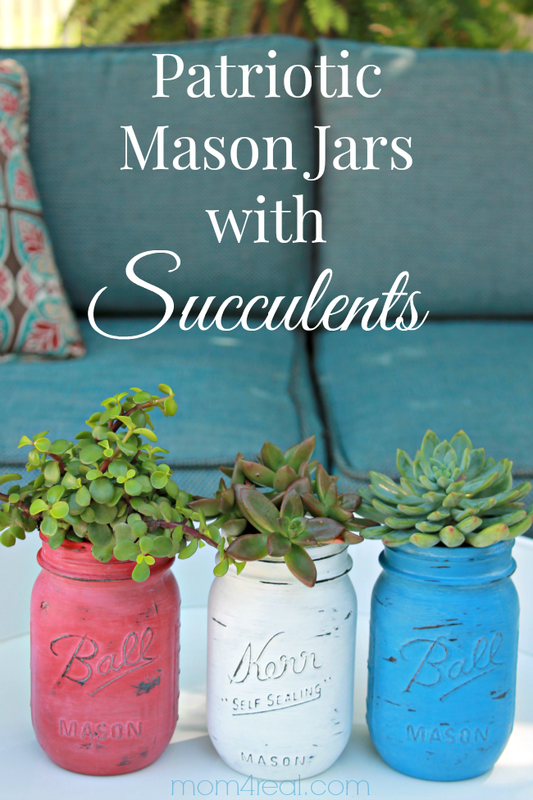 Once they were finished, I planted some cute little succulent plants in them…cute right? To find any of the supplies I used for this project, click HERE! Now…enjoy all of the Red, White and Blue goodness from some of my closest blogging friends! « Patriotic 4th of July Printables ~ Free! Love all the inspiration! Love Red, White and Blue!